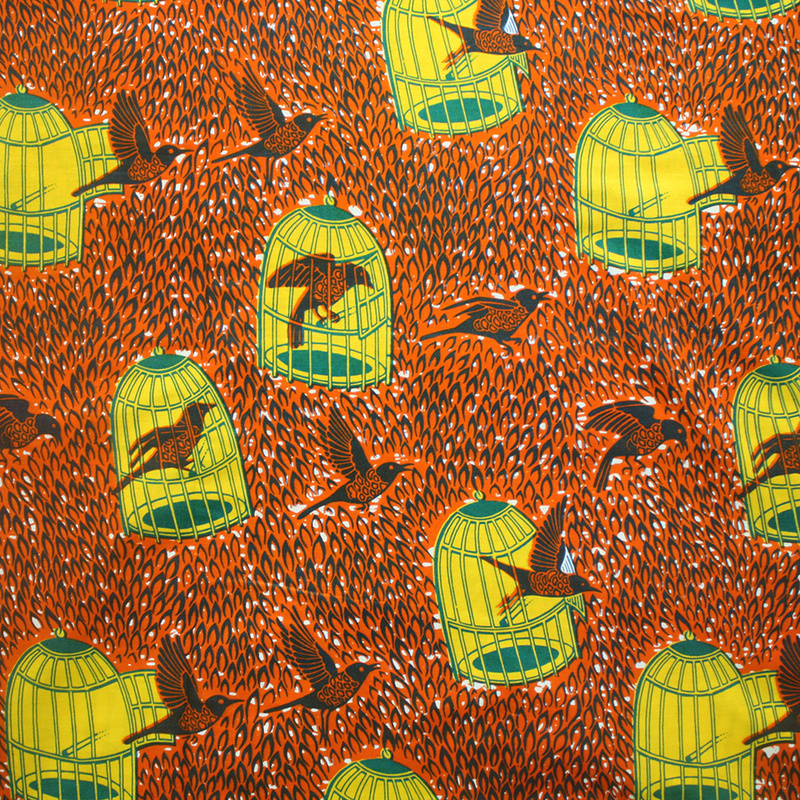 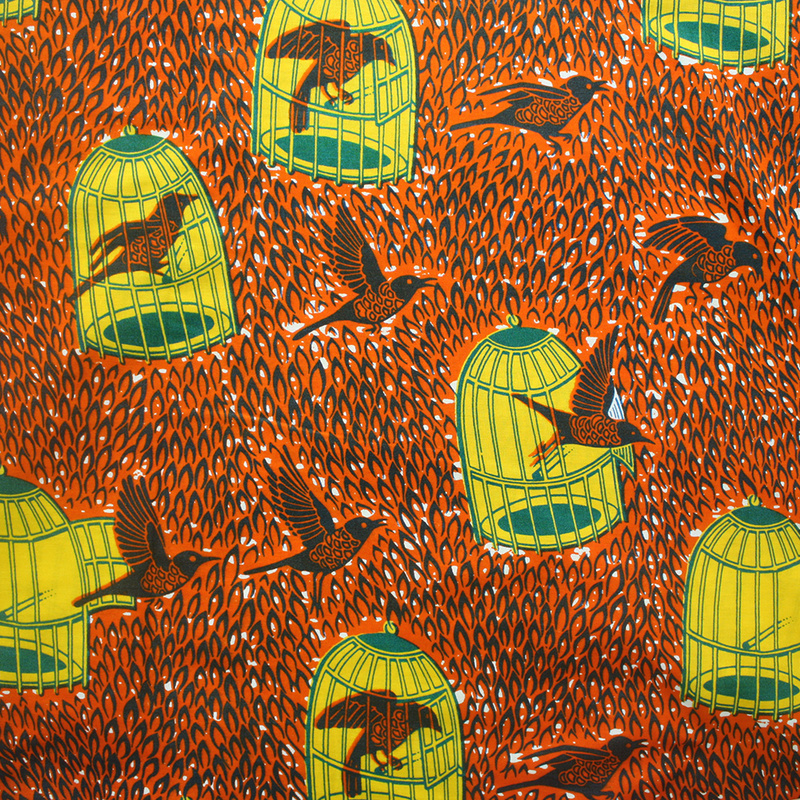 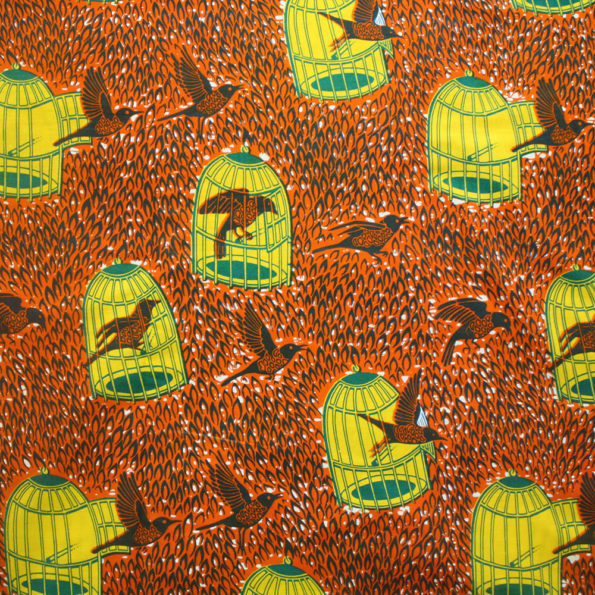 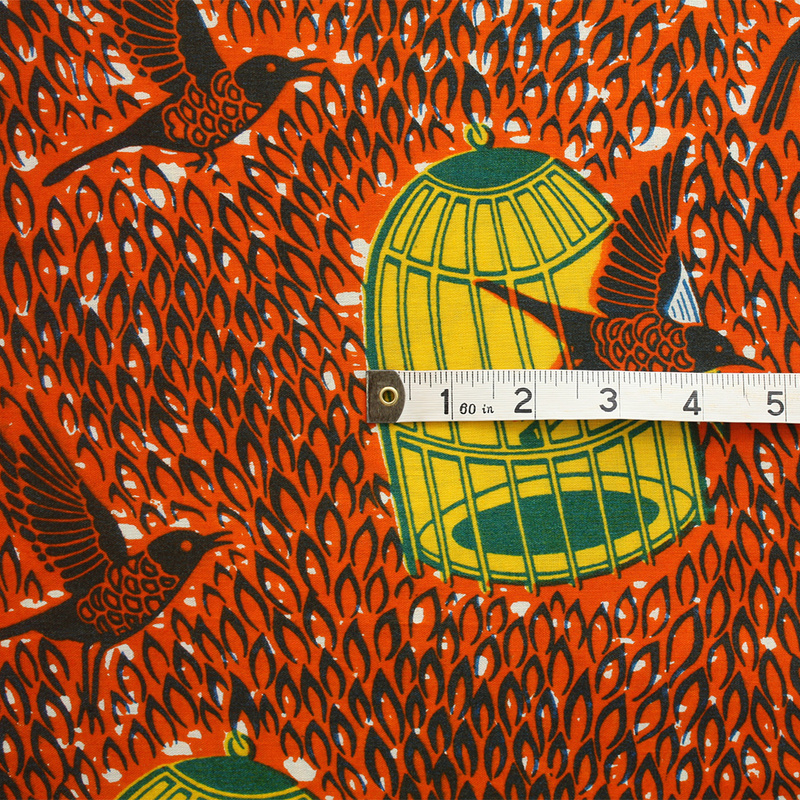 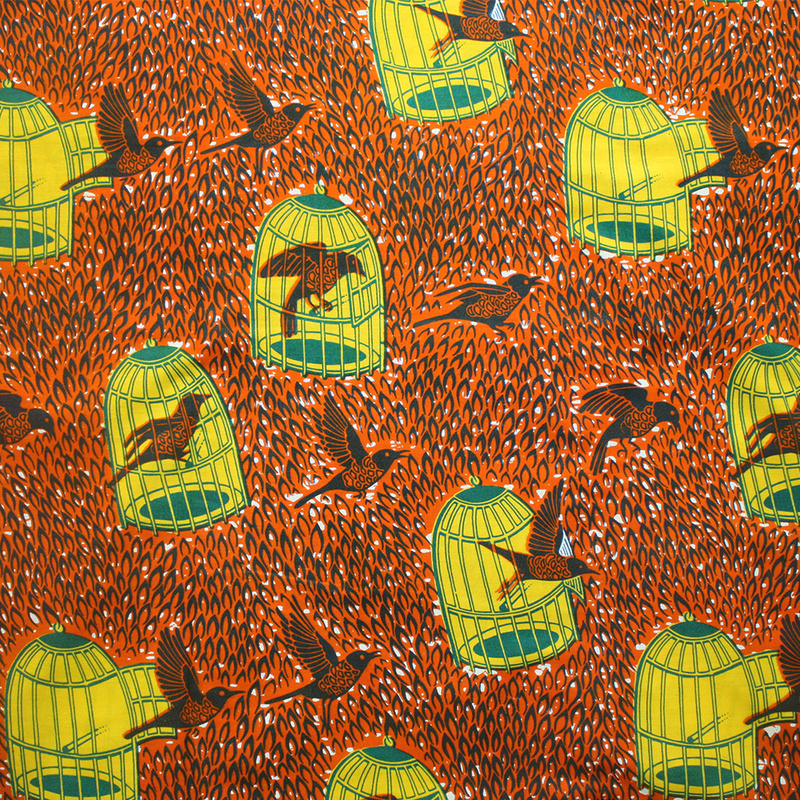 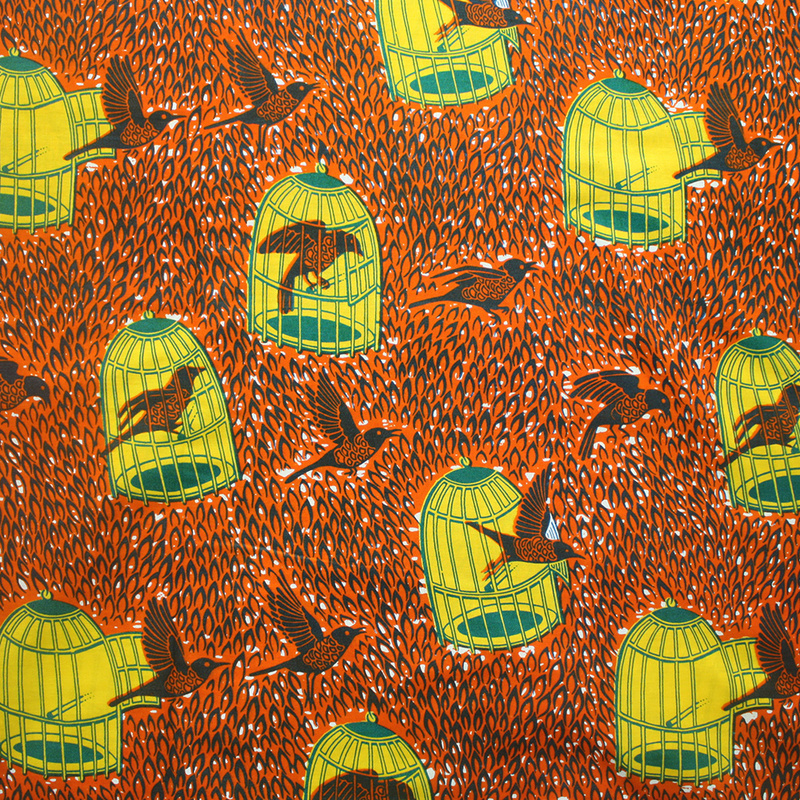 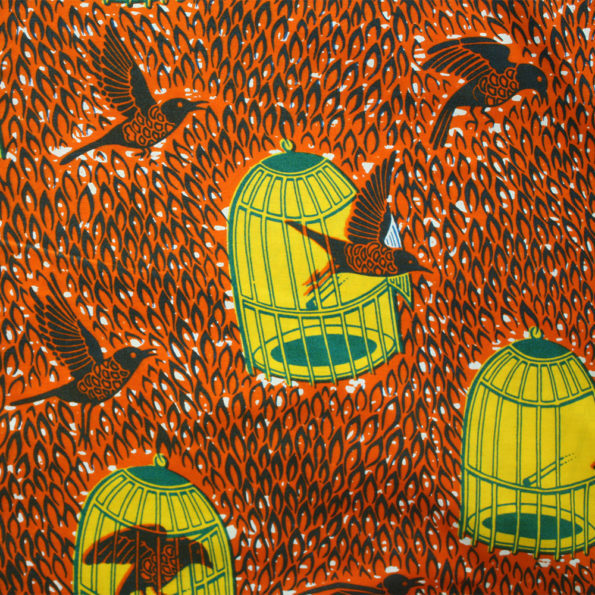 A quirky orange and yellow Ankara print fabric with a bird and birdcage theme. This fabric is printed on 100% cotton and would be great for clothing, accessories, home furnishings and any craft projects you may have on the drawing board. I think this would make a wonderful dress or skirt.